Most businesses are now on board with the idea that they need to have a web presence if they are to succeed in today’s marketplace. Most are also aware that social media is important in their marketing strategies, but there are still many that are behind the pace when it comes to reaching customers in the mobile market space. Next time you are out on the street, look around you and it will become very clear how popular mobile devices have become. The rising use of cell phones and tablets to access the internet means that businesses once again have to rethink the way they do things. Not only do they need to create a responsive website design that allows their site to automatically adjust to the different screen sizes, they also need to think about creating some specific mobile ads. If you are a business owner who uses part of your marketing budget for online ads, you need to seriously consider using a portion of that for mobile advertising. This is still relatively new, though, so you may not know all the pros and cons of mobile advertising. One of the most obvious benefits is that you will be part of a market that is growing and showing no sign of slowing down. People are searching for what they want while on the go, and seeing your ad may mean that they choose your business instead of your competitor. Another major benefit is that there are really no limits to the number of people that you reach. Many people are ditching the PC or laptop entirely in favor of mobile devices. If you are not advertising to them, you run the risk of losing a ton of potential customers. Those people that do predominantly use mobile devices have another trait that can be very advantageous for your business, and that is a love of sharing things they like via social media. For example, if you create a very memorable video ad for your product or service, people will want to share it with friends quickly spreading the news which heightens the potential of your ad going viral. Just having that happen with one ad can see your sales boom literally overnight. While all of this sounds great so far, there are some negative aspects to consider as well. Internet users do not really care for ads all that much, and something has to really stand out if they are going to click it. A lot of times mobile users need information quickly and ignore ads altogether. Also, because of screen sizes, mobile ads tend to be pretty small, which means some folks may have difficulty clicking on them. But, not all is lost as sometimes seeing the ad is enough for it to make an impact. 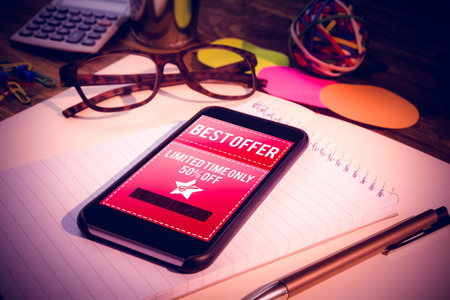 So, if you are going to try mobile advertising, it may be best to start out small, choose a good adserver and give it a test run first until the right strategy is in place and then a larger campaign can be rolled out.